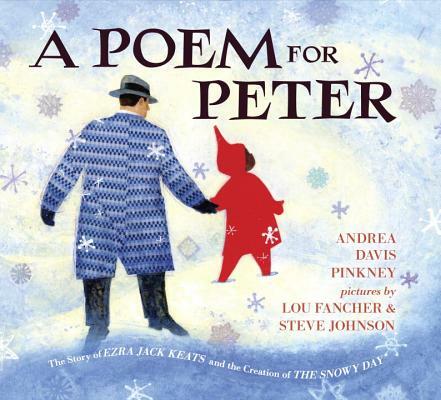 In A Poem for Peter: The Story of Ezra Jack Keats and the Creation of The Snowy Day we learn that Ezra Jack Keats was inspired by a photo of a little boy when he created Peter in The Snowy Day. He also used collage style illustrations when creating his art. Today we will be making our own collages based on the people, places, and things in our lives that inspire us the most. Happy collaging! 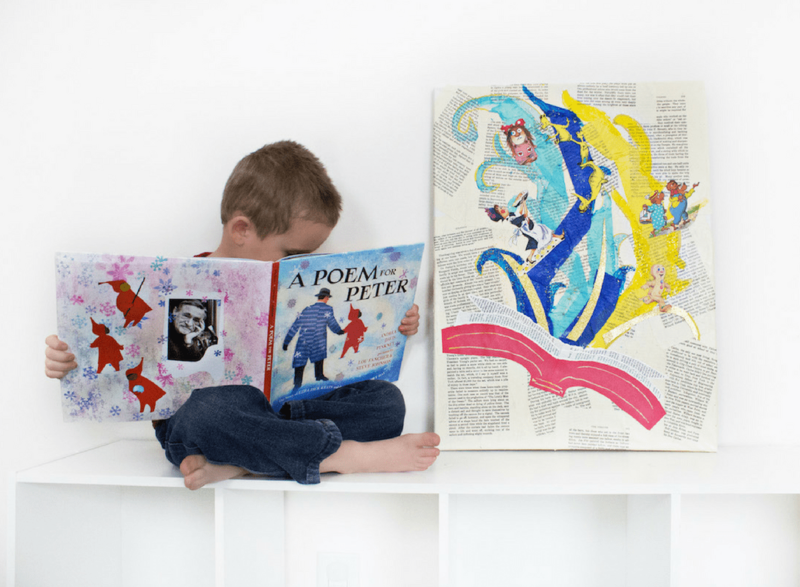 When Ezra Jack Keats was a young artist, he used whatever he could find around him to make art. We encourage you to use the materials you already have in your home to create this collage. Of course, purchasing materials is also fine—it’s up to you! Because the craft is free-form, you can start with the list of supplies that we used or make up your own. Two common supplies that Keats often used that aren’t listed here are patterned paper and fabrics. Anything is fair game! 1. First you need to come up with an idea of what inspires you! 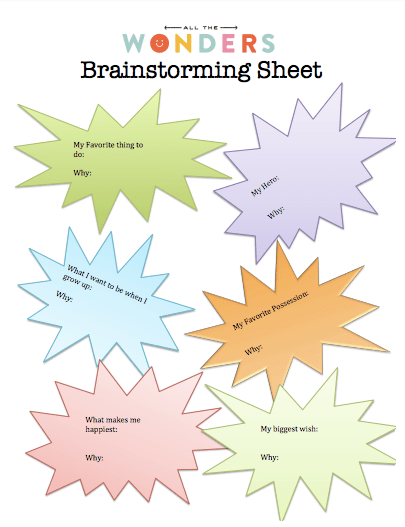 For this we have a free, printable Brainstorming Sheet to help. Print it off, fill it out, and choose a theme for your project. 2. 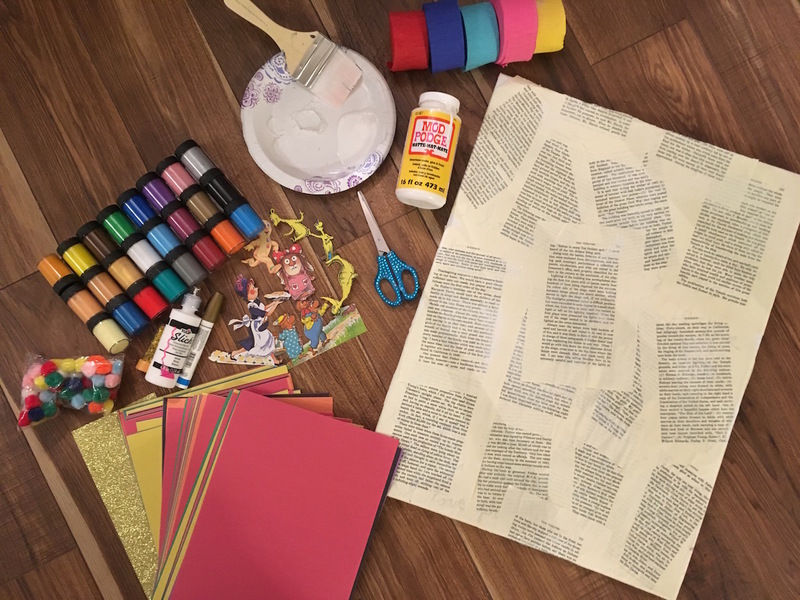 Using your chosen supplies, create a free-form collage that expresses your feelings about your inspiration. 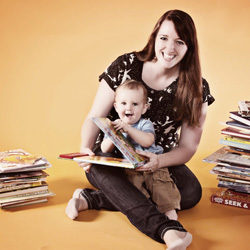 I chose picture books as my theme because I find myself inspired by them everyday. And I had some badly damaged books to put to use. Have fun and let your creativity shine through! What in your life inspires YOUR art? Hi! I’m Clarissa, a former elementary school teacher before moving on to my dream job of being a full-time mommy. My lap happily accommodates two at storytime, and I love sharing my passion for reading while occasionally stuffing my little boy and neighbors full of cupcakes. 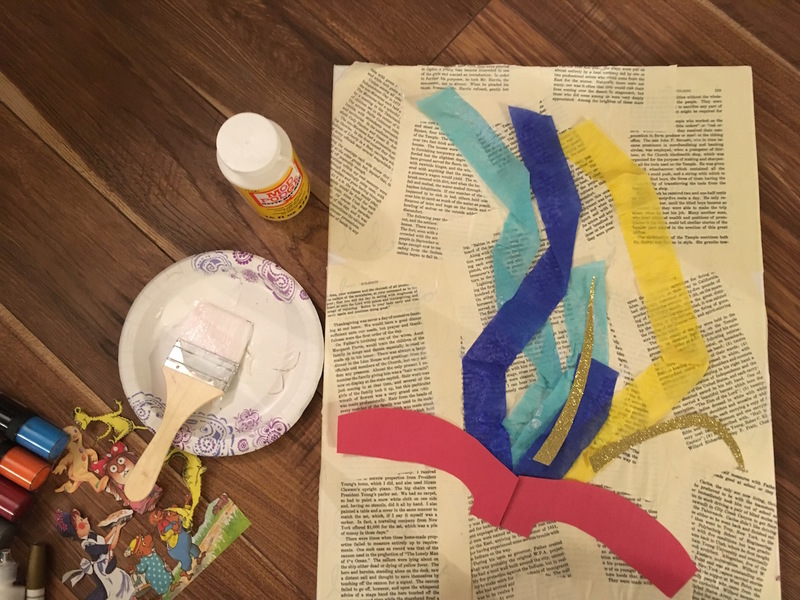 At “Book Nerd Mommy” we celebrate books through “Beyond the Book” crafts, recipes, activities and more. Celebrate with us! I can be found on Instagram, Twitter, Pinterest, and Facebook. 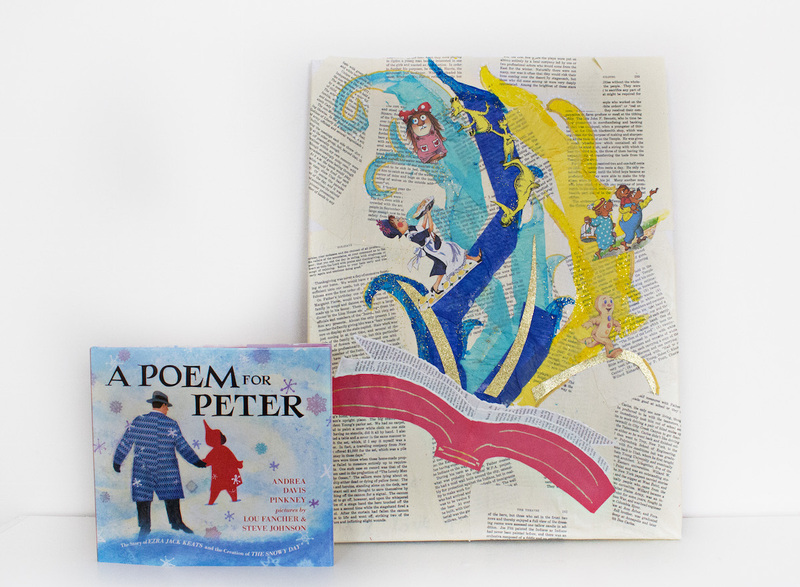 Here’s to your collage idea and tie in the Poem For Peter. 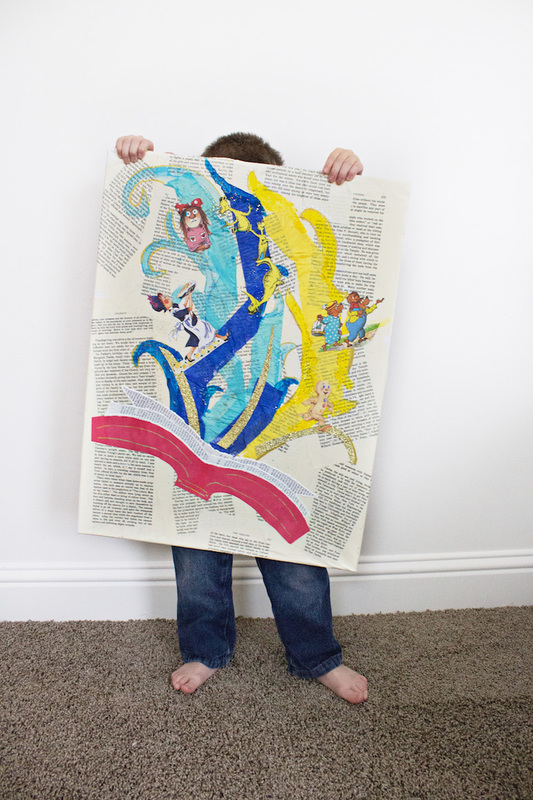 What’s not to love with scissors, paper, glue and inspiration?